Our cultures and languages are pervaded by images of the future, of alternative possible futures, some exciting, some transformative, some idealistic, some nightmares. A foundation assumption of futures research is that people base their decisions and subsequent actions on embedded, internalized images of the future, as well as other values, goals, and motivators. 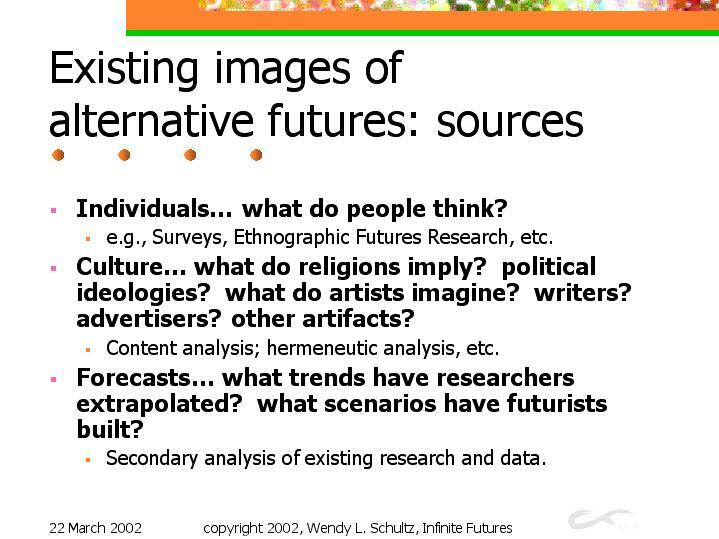 Thus one critical area of futures research is the identification and analysis of images of possible futures that already exist in our cultures, no matter their origin.